House, private entrance and corral are included in this vacation rental package. Please register upon arrival at Windsong Arabians (TM) and you will be escorted to your home away from home. 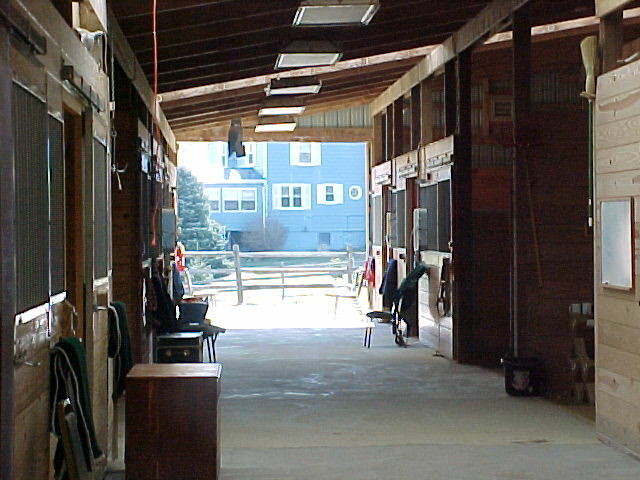 You can bring up to 4 horses to Above All Else and care for them yourself in your own front yard paddock area. Watch them graze as you sit on the porch. If you prefer, stall board your horse or additional horses on the premises with Windsong Arabians (dependent on stall availability). We provide linens, towels and just about everything you would need to prepare your meals except the food!! We stock the house with toilet tissue, cleaning supplies, and simple condiments (salt/pepper/sugar). Other items may be available "to get you started" (dish detergent, garbage bags, paper towels, napkins). Call if you need something before you get to the store (like a cup of sugar). We are your neighbors, not just the landlord!!! We strive to make your stay relaxing!! Want to tour Windsong Arabians farm? Click here. You rent the entire house!! There are 4 bedrooms and 3 full baths. Share with a couple or another family!! We must limit the number of guests to 10 due to the strain on the septic and well. (There is an extra charge for more than 8 guests/week or more than 2/night) There is a queen bed in the master bedroom, 2 double beds (one is a futon, close to the ground, a favorite with the younsters), a trundle (which can be 1 or 2 twins, or, pushed together for a King) and a sofa bed in the TV room (for more than 8 guests). 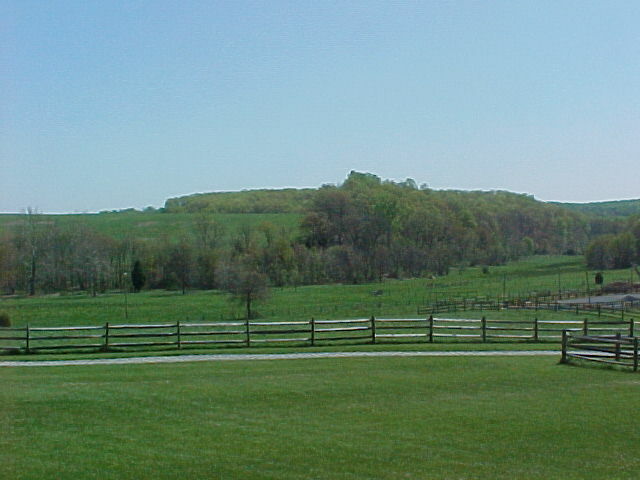 This view off the porch looks at the pastures and meadow behind Windsong Arabians. Open house was May 2001. The house was built for our daughter, now married and moved on with her husband. As horse lovers, we know how difficult it can be to get away from our equine friends....and often we don't want to leave them!! So here's a chance to take your horse on vacation with you....a vacation to remember!! 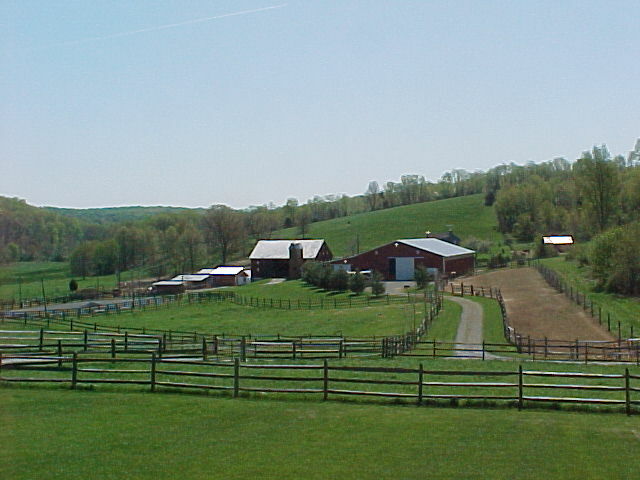 Of course, you don't need horses to enjoy the peace of a Frederick County Maryland horse farm.